Me and Stu were probably pretty unusual when it came to picking our wedding venue. 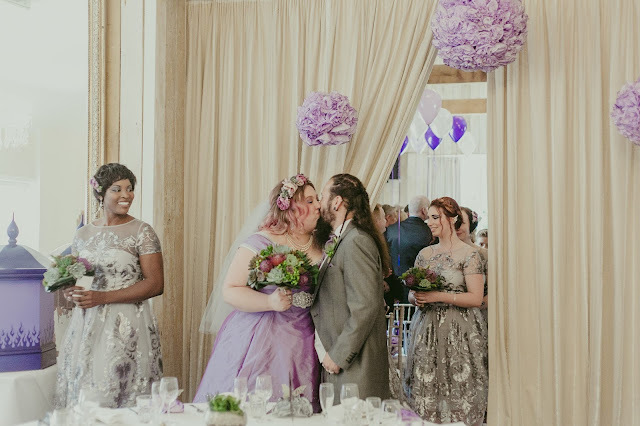 We had one venue in mind, looked at that one venue, and immediately booked it! 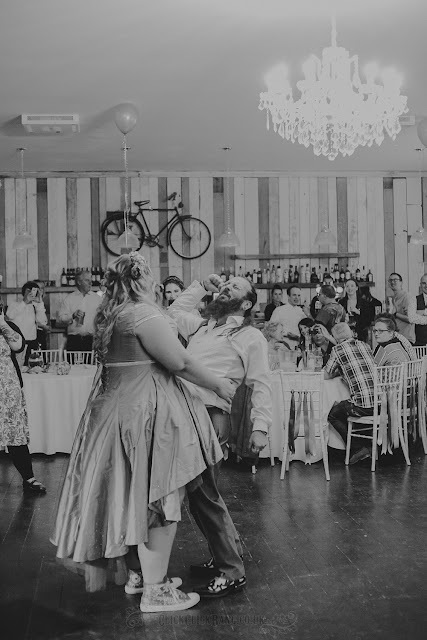 There are a lot of different options in Grimsby and the surrounding area, but we fell in love with a venue in the village I had grown up in, so it was an easy choice. 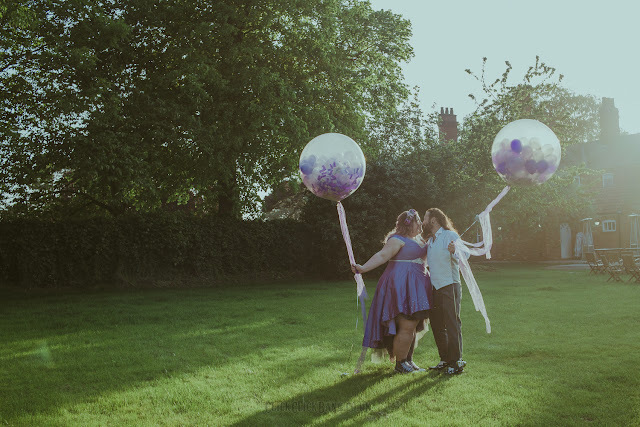 As a photographer, I've worked at many of the local venues, so I knew what I liked and didn't like, and I knew I didn't want to get married at any of the venues I'd worked at for a variety of reasons. We had a couple of specifications, it had to be able to seat about 120 people, (we have huge families! ), and the ceremony and the reception had to be able to take place in the same location. 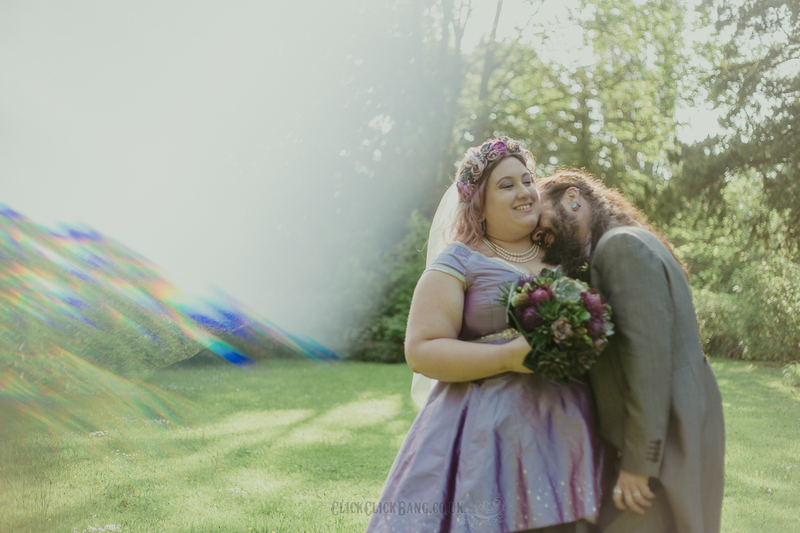 We got married at Healing Manor Hotel, in their barn setting. They have two different rooms to host weddings in, and we picked The Barn. 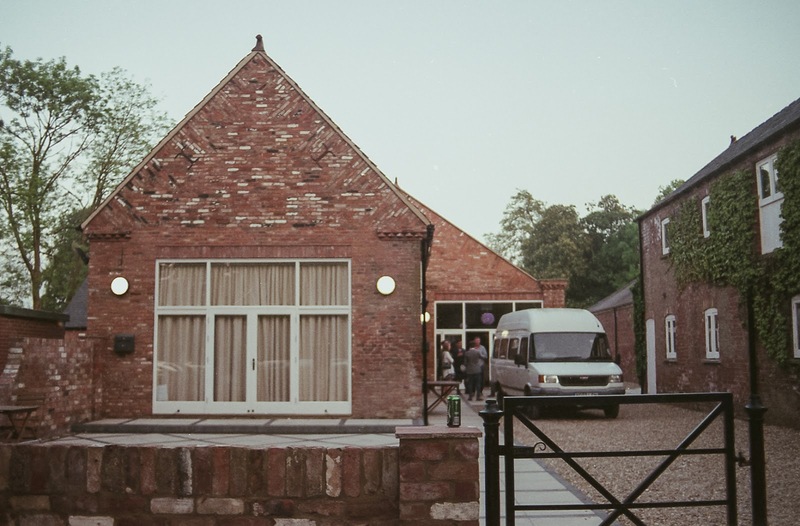 What is probably even more unusual is that we booked our venue while it was still a construction site! They had begun work on The Barn but it wasn't finished when we booked it, but we could both just imagine how it would actually look on completion, so we risked it. 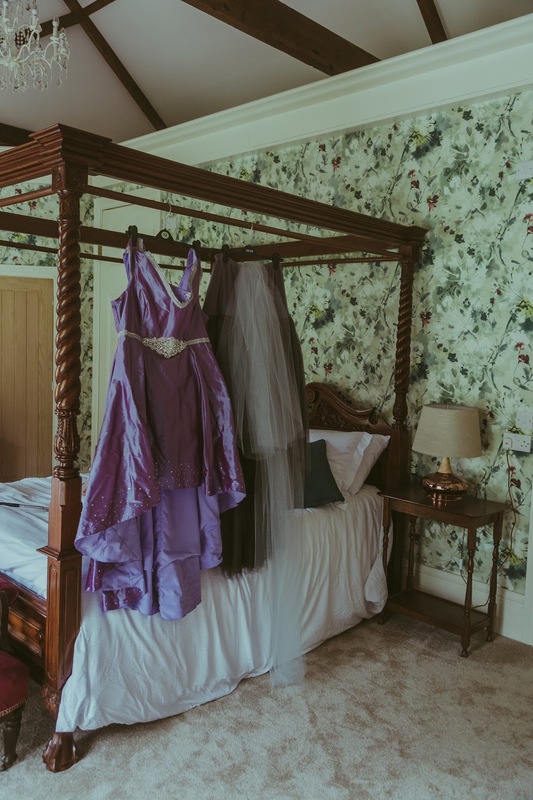 Healing Manor Hotel has 3 different bridal suites to pick from! I picked one that is totally separate from the rest of the hotel, in a smaller converted barn of it's own. It has the main bridal suite in the middle, and two smaller double rooms built one on each side of it, with interconnecting doors. This meant my bridesmaids could stay over with me the night before, but that we could all have our own space too. I loved this idea! We spent the night before painting our nails and listening to Tsunami Bomb, before sleeping in truly enormous and comfy beds. Staying at the venue meant a walk from our room to The Barn itself to get married. The grounds of Healing Manor Hotel are just gorgeous so it meant for pretty photos on the way over. Stu and the groomsmen also all walked over to the venue as they weren't staying far away, we saved pennies on wedding cars as we didn't have any! 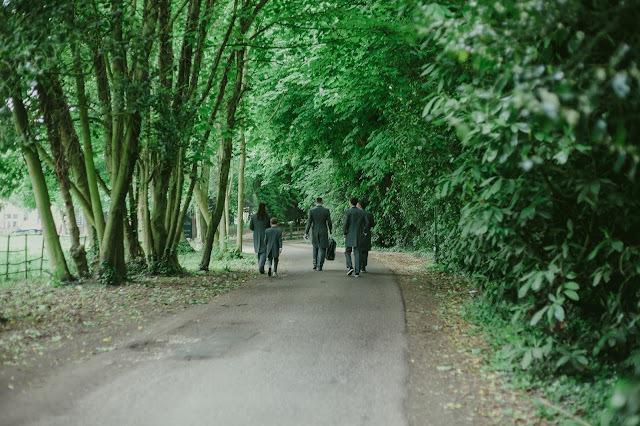 I love this photo of the groom's party walking up to the venue. The Barn is two rooms, one ceremony room, and one reception room. They are decorated in a similar way, with exposed bricks, worn wooden panels on some of the walls, and plain walls. 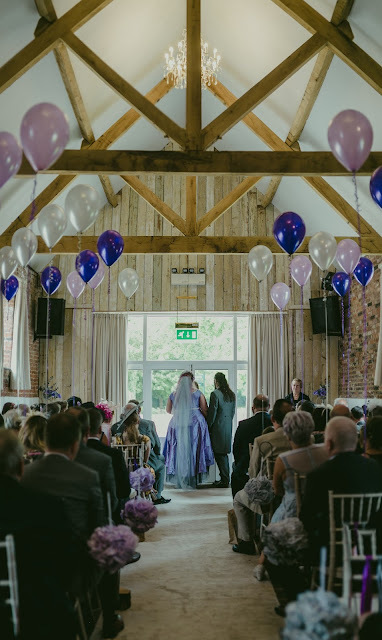 I love the exposed beams in the ceremony room. It's all really lightly coloured which is really handy for the photographer, better lighting! It also means you can really put your own stamp on things with your decor as the room is much more versatile than one with a specific look or distinct colour theme. The rooms are separated by these sound proof curtains, and during the meals we had them shut, but for the evening they were opened up to make the room even bigger. We had the option of using the curtains if any of the guests needed a quieter location too which is a great touch. Older guests might not have been too happy with being subjected to our heavy metal! This is how our reception room looked! Nice and bright and full of light, which is very important to a photographer. I've worked in so many venues that are dark and dingy and really make your job as a photographer difficult, so this was something I was really keen on. 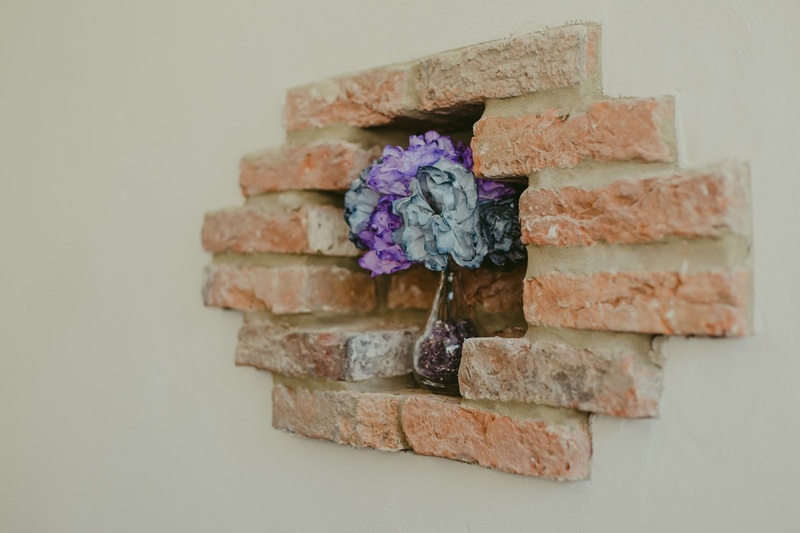 The main room had all sorts of cute cubby holes made of exposed bricks that we put paper flowers and vases in to continue the theme throughout. Healing Manor Hotel were so helpful and let us pop along to measure bits and pieces and figure out what DIY we needed to make based on these little holes and windows. We could pretty much go over whenever we wanted unless there was an event on which was such a help! The grounds of Healing Manor Hotel are truly lush. It is set in 36 acres of land! It has woodland, open fields, two large ponds, an island, and it also has a pub, The Pig & Whistle, which our guests made full use of! I know the grounds really well, so knew it had lots of pretty spots to take photos in. 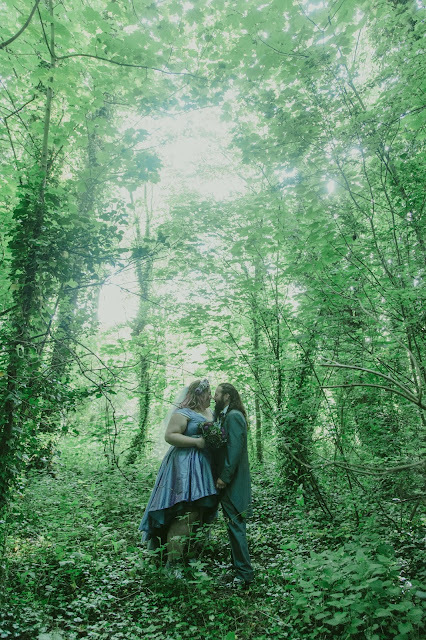 We had our couple photos taken in several different places and they all looked beautiful. Now the staff at Healing Manor Hotel are what really makes everything easy. Kathryn who is the wedding coordinator is an absolute star. She made planning the wedding so stress-free and fun! Any question you had, she got it done. 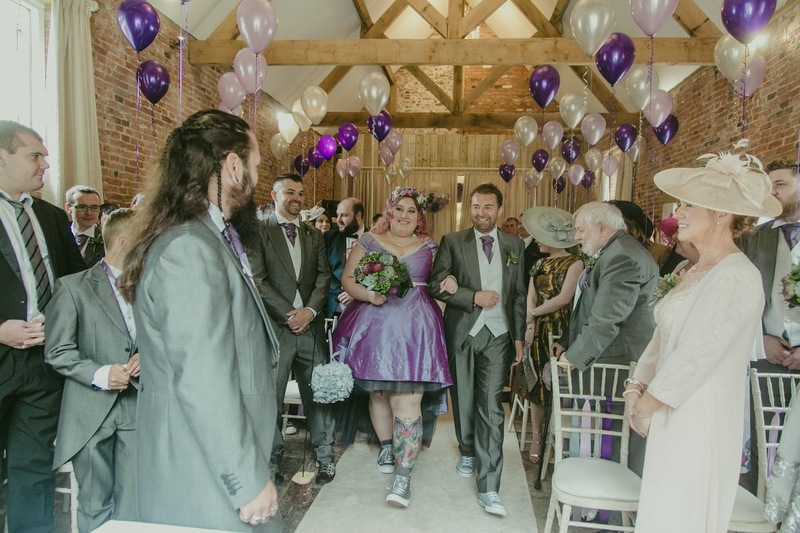 We had a totally bespoke menu rather than use one of their packages and she got it all sorted. She made sure everything ran smoothly and was really enthusiastic about the more quirky aspects of our day which was fab! Our Master of Ceremonies Jack was hilarious and perfect for our day. We met him before hand and he really fed off us with how he ran the day, he was professional, but also knew when it was time to make a joke. When it came to cutting our cheese cake, he announced that 'Stu and Kitty are now about the cut the cheese!' which made us crease. It totally suited the laid back party atmosphere we wanted. He was brilliant! All day the staff were just a pleasure to deal with, even Mark who owns the hotel, was mucking in and helping out. He got me my sunglasses when I realised I'd left them in the bridal suite! Several of the bar staff also bought me and Stu drinks out of their pocket when we went to the bar, being adamant the bride and groom wouldn't spend a penny on their watch. Just incredible, and something they really did not have to do. They had two weddings on the day we got married, ours and another in their Cadogan Suite. We had absolutely no idea there was another wedding at our venue, they handled it amazingly and everything ran so smoothly. The band arriving to set up for the evening! I can't thank Healing Manor Hotel enough for being so wonderful to us. They really got what we wanted to do with our wedding and accommodated us in every way they could. If you are local and starting to plan your wedding day, please go and check them out! 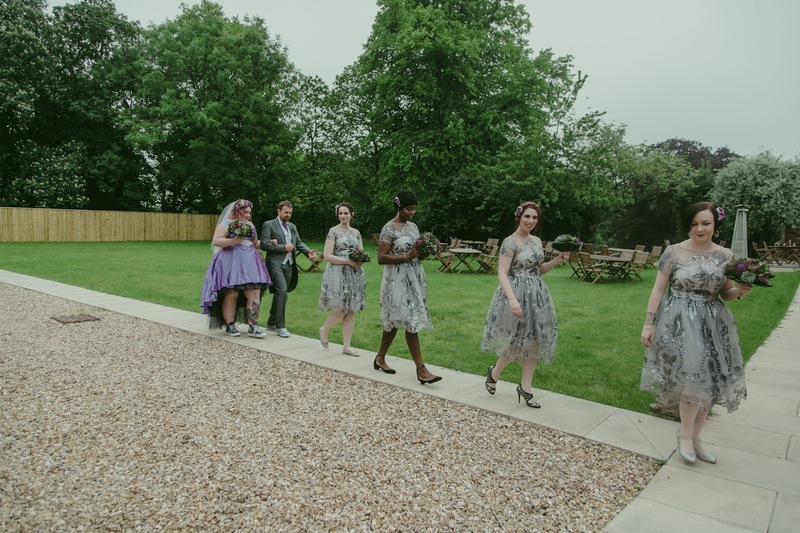 It's not only a stunning venue and grounds, but the staff made sure the whole event was stress free, what more could you want! As ever, all incredible photography by ClickClickBang Photography. I love everything about your wedding. It was so beautiful, and so you, and you and Stu just look so perfect and happy together! This sounds like the BEST day ever - proper rock & roll! We got married at Old Clee & then popped to the Humberston Country Club for the meal - the organization was fairly epic! Thank you! The whole night ended in a mosh pit to Killing in the Name haha :D the transfer between venues was the bit I wanted to avoid. Humberston Country Club is a a beautiful spot!